The Aervoe Biodegradable Cleaner / Degreaser (4-Pack) is formulated to provide manufacturing facilities with an industrial-grade, fast-acting cleaner. It comes in liquid concentrate form that can be diluted with water offering a full-strength degreaser and an all-purpose cleaner. It can be used for cleaning machinery, engines, windows, appliances, and even for removing spot on most fabrics and carpets. 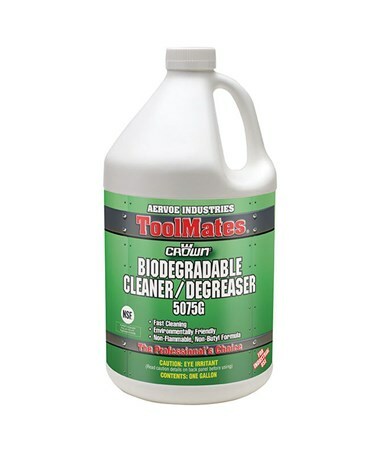 This cleaner and degreaser by Aervoe is 100-percent biodegradable making it environmentally safe. Its non-flammable and non-butyl formulation is non-toxic and contains no chlorinated solvent. This means it can be safely used around children and animals. It also complies with NSF (National Sanitation Foundation) A-1 regulations for incidental food contact. It is not advisable, however, to be applied on electrical equipment and machinery while in operation. 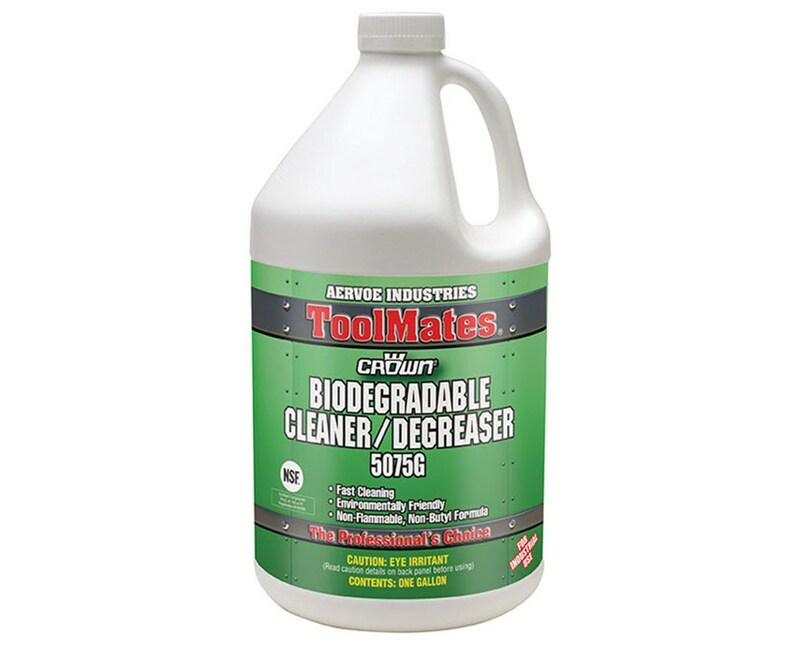 The Aervoe Biodegradable Cleaner / Degreaser (4-Pack) is supplied in one-gallon container. Apply it by using a clean sprayer, a damp cloth, or a sponge. It is sold by case to accommodate most cleaning and maintenance needs. Each package includes four bottles of slightly foaming liquid and a one-year manufacturer’s warranty.